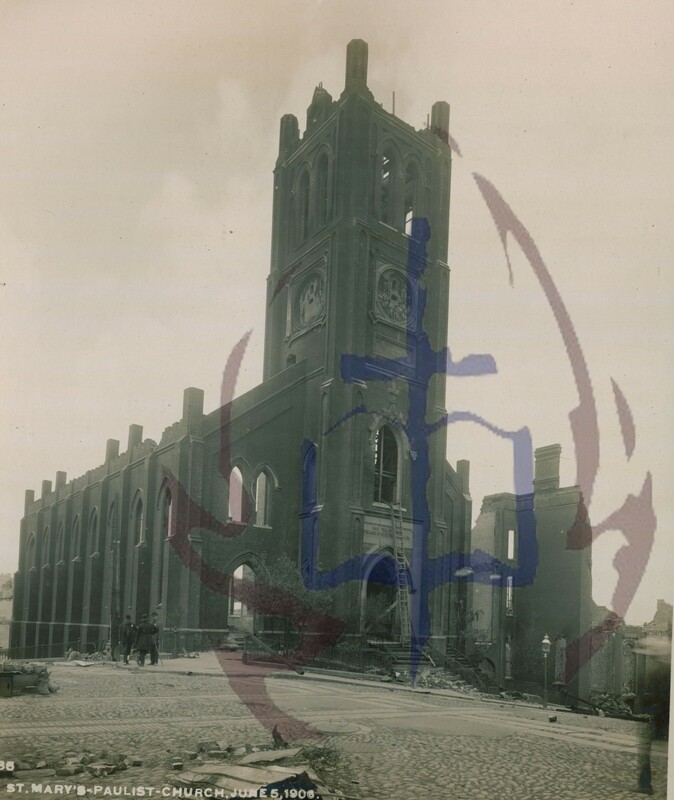 A photograph of the Old St. Mary’s Church on June 5, 1906, just two months after the earthquake. The Old St. Mary’s Collection at the Paulist Fathers Archive Washington, D.C. The artifact shown is a digital image of a photograph. 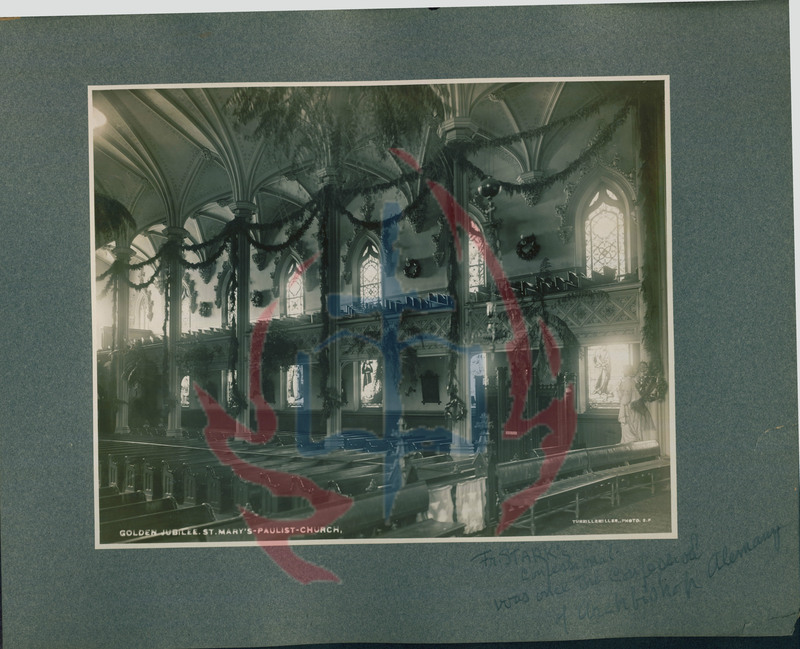 This image is titled “smgjd_028_Watermarked.jpg” and is from the “Old St. Mary’s Collection,” which belongs to the Paulist Fathers. This narrative will first discuss information about the original photograph, then it will discuss the digital version of the image, then it will discuss the Paulist Fathers and objects related to this image and it will conclude with information about the Academic Service-Learning involved in creating this narrative.